Please excuse our dust as KeyArena closes its doors for a lengthy and extensive renovation and new management. You can purchase Ticketmaster tickets for McCaw Hall shows online and by phone at (800) 745-3000, TDD 800-943-4327. These tickets are subject to applicable service charges and fees. The ONLY walk-up box office for McCaw Hall’s Ticketmaster shows will be on the day of show, 1.5 hours prior to curtain at the McCaw Hall box office located on the Kreielsheimer Promenade Lobby. 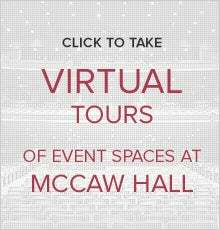 Tickets for McCaw Hall events can be purchased WITHOUT SERVICE CHARGES at this box office. You can still purchase tickets to Pacific Northwest Ballet, Seattle Opera, Seattle Men’s Chorus, and Unique Lives events through their box offices directly (see information below). ALWAYS purchase your tickets from a reputable ticketing company. Many “secondary” ticket companies or “brokers” lead you to believe that they are the official site for purchasing tickets. 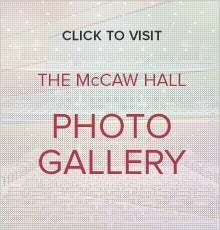 ALWAYS start at McCawHall.com and follow the links to purchase tickets to performances and events taking place at McCaw Hall. Purchase tickets online at PNB.org, call 206-441-2424, at the PNB box office located at 301 Mercer Street outside of the Phelps Center, or at the McCaw Hall box office starting 1.5 hours prior to performance. Purchase tickets online at seattleopera.org, call 206-389-7676, at the Seattle Opera box office, or at the McCaw Hall box office starting 2 hours prior to performance. Purchase tickets online, call 206-388-1400 or at the McCaw Hall box office starting 1.5 hours prior to performance. Purchase tickets online, call 1-844-827-8118, at the PNB box office located at the Phelps Center (Visa or Mastercard only, no cash! ), or at the McCaw Hall box office starting 1.5 hours prior to performance.